It's almost cliche nowadays to state the importance a website has to your business, but it's for a good reason. Taking a critical look at how the web has changed business is key to understanding the value you can gain from a solid web presence. The web had changed numerous times over the last 25 years. With new technology, consumer behavior has evolved and the buying process has been flipped on its head. Long gone are the days of sales reps acting as gatekeepers, or receiving catalogs in the mail from retailers. With the speed of technology, the power has shifted to the consumer and unless you adapt to the change, you're likely to get left behind. That's why your website redesign is so important. The cost of bad web design has put companies out of business because they failed to connect with their customer base. On the opposite hand, companies that do leverage the web effectively to connect with their consumers, have reaped the benefits of a more efficient, more automated and more strategic sales process resulting in huge impacts on their bottom line. 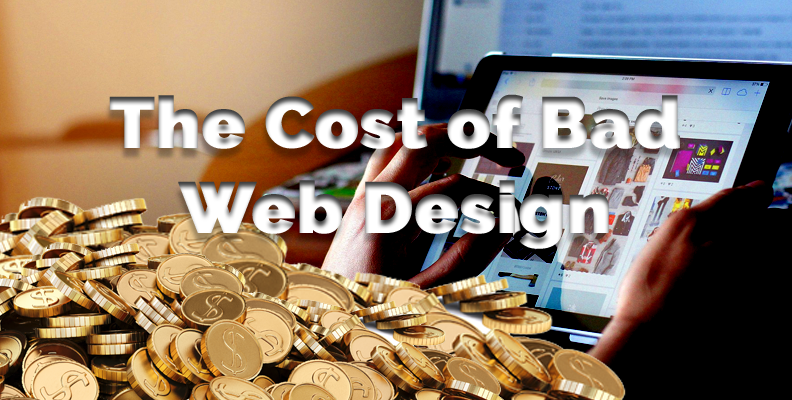 Why is a good website design so crucial to your financial success? The first step is to change the way you view your website. Instead of viewing it as a brochure or online business card, you should start looking at it as a sales rep. In fact, this is the most productive, low overhead sales rep you'll ever have. It works 24 hours a day with no sleep, no breaks, and no vacations. Even more, it's often the first interaction a potential customer has with your business. So as a sales rep, wouldn't you want it to be the best looking, best dressed, most articulate and knowledgeable sales rep you have? Put your best of the best up front every time. This isn't a new concept. In fact, Entrepreneur.com wrote about this almost 10 years ago. So how has this changed recently? Think about family dinner this coming week. You're fresh out of ideas and looking for something new to cook. You're a pretty savvy so you go on Pinterest and search "quick easy family dinners" and get the result below. You see BBQ Chicken Tostadas staring at you in the face. At least I did. So you click through on that and end up on the blog for Cupcakes & Kale Chips. This is the premise of inbound marketing. As a consumer, I have the power to search for information at my fingertips. As a business owner, the key is to get in front of your consumers "WHERE THEY'RE AT" and then bring them to your website by providing relevant content. So once you have a person's attention, it's essential that you make a good impression. This is a new phenomona and continually changing even still with the proliferation of smart phones, tablets and other devices. Users literally have you (and all your competitors) at their fingertips. If your website doesn't perform, they'll go to one of your competitors that does. Your website is planned and designed to generate and convert leads. Long gone are the days of regurgitating every accomplishment, every boring detail about your process, and every little obscure problem you can solve for. The fact is users don't care about how great your company is. They care about how you can be great for them. That is, what value to you bring to their specific situation? Designing with conversion paths in mind that guide users down the buyer's journey will ultimately result in a higher conversion rate than those that look good but don't have any strategy behind them. Your design strategy is planned around data. It doesn't matter if your grandma thinks your website is pretty. We're talking about business here. To be blunt, it doesn't even matter if your CEO likes the website design. If it follows best practice and it converts, that's what matters. Everything else is secondary. I mention this because people get too caught up on the small things and lose sight of the bigger picture. 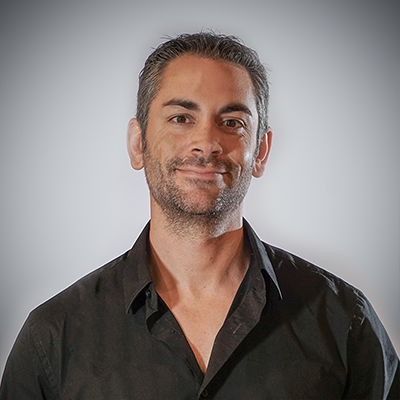 This site is designed to make you money. As mentioned before, technology is changing faster than we can keep up. It's important that if your customer is using an iPhone, then your site better look nice and be easy to use on an iPhone. Using a tablet? It better perform just as well on a tablet as it does on a phone or computer. What do you risk by having a poor web design? First and foremost it's leaving money on the table. In today's competitive market, everyone is doing all they can to earn your dollar. As a business owner, understanding your customer and tailoring your approach toward their interests, their pain points, and their motivators, you can an advantage in the market by really connecting with your customer. There is no set amount of how much money your business can miss by having a poor website. But as Wilmot Modular found out, an update to an outdated website could resulted in over $350k in revenue in under 6 months from launch. Another big concern is that your business' reputation is on the line. As mentioned before, your website is often the first impression customers have of your business. If it doesn't accurately reflect your personality, your professionalism or most important, your values, then you may never see that customer again. You may have the best organization for the job, but if your website undermines your credibility, you'll never get the chance to get your foot in the door. To compound that effect, organizations with killer websites, organically grow natural promoters. These are people who voluntarily recommend your business (or your site) to others because they had such a great experience with it. People who have a negative effect on your website will not recommend you. Missing out on this ripple effect of word-of-mouth advertising can literally cost you the business needed to keep the doors open. Your reputation can make or break your business. Thus, it's important that your website highlights the best your have to offer. Keeping content fresh on your website is important. This can be through publishing new content like blogs, as well as updating old pages with more relevant info as your business changes. And Google loves fresh content, so this will also help with your SEO rankings. You don't need to tell the web every single service you offer. Or every award or recognition you've earned back to 1985. You should focus on the value you bring to users. Use "you" language instead of "I or We" language. By saying something like "Are you looking for a new washer dryer set" instead of "We have 100s of washer and dryer sets" you are more engaging to your user. This is why understanding their pain points and motivators is so important. Websites should have defined paths that the user can easily navigate to get to different parts of the site. If users can't figure out where to go or how to find the information they're looking for, they'll become frustrated and leave. Make sure your navigation is logical and easy to use by consolidating pages and presenting information in fewer clicks if possible. 1) Prominently display your contact information. Address, Email, Phone, etc. Whatever is your preferred method of communication, make sure users can easily find this regardless of where they are in your site. These can be things like customer or employee testimonials, badges from accredited associations like the Better Business Bureau, and (especially for eCommerce sites) displaying security seals, major credit card logos, VeriSign, and more can build user confidence in your brand. These are especially important on pages where you're asking users for their information (or money)! If you're just getting your site off the ground, stock photography is a helpful tool. But the best stock photos get used often. It's not uncommon to see the same images on one site that someone else used on theirs too. It's definitely worth it to hire a photographer to come shoot the office, the staff, vehicles, landscape, etc. Having your own custom imagery sets your website apart. And it's a fantastic tool to showcase your company personality through the site. Your website should be built to convert. In order to do this, it needs conversion points or CTAs. This is how you will define your user paths. If you have 2 distinct personas, present 2 different CTAs that target each one. Each will link through to another page with more information specific to that persona. Using CTAs can help collect metrics like click through rate, to measure the effectiveness of your efforts. Now that you've started thinking about the cost a bad website can have on your business, it's time to turn inward. Take a look at your own website (or lack thereof) and see if you would buy from yourself. Is it time for a website redesign? Or could you polish up your site and do a little spring cleaning? A website is not a test you study for, take, and then forget. It should be a living breathing thing that continues to grow, adapt, and evolve with your business. If you have the internal resources to manage that, challenge them to define what success is and audit your website through that filter. If you don't have the means to handle that yourself, look toward the experts to assist with what they do best, so you can focus on running your business.